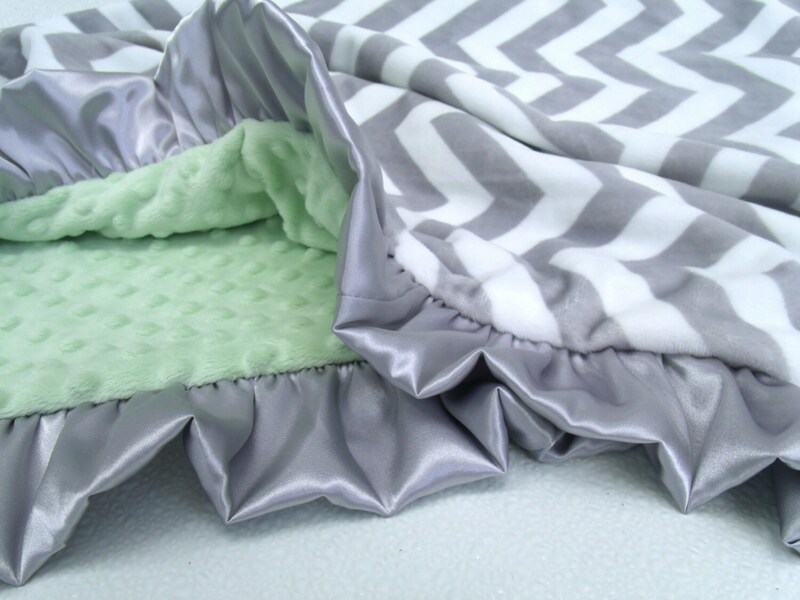 Silver gray ruffle on gray and white chevron minky baby blanket. 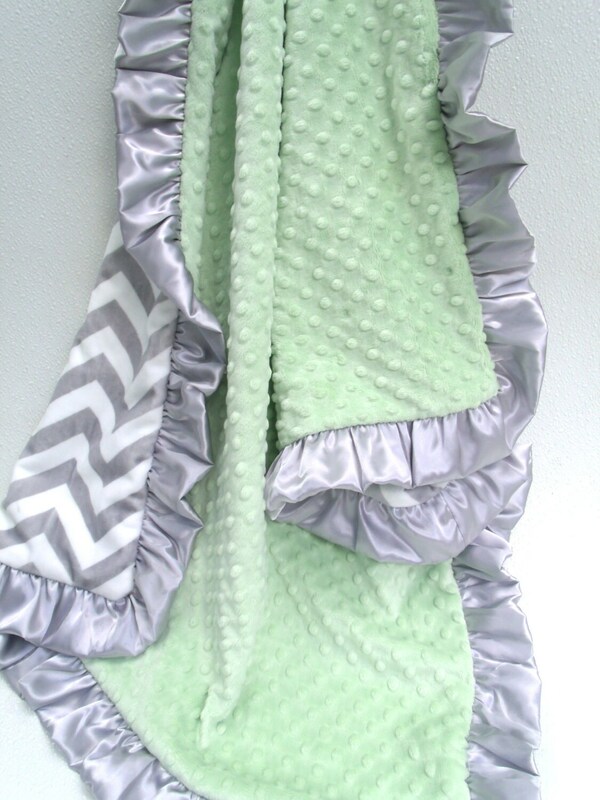 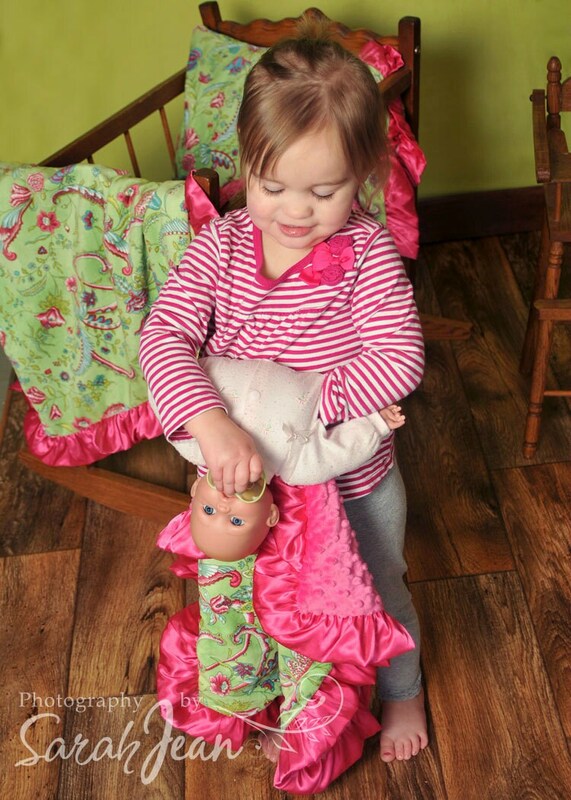 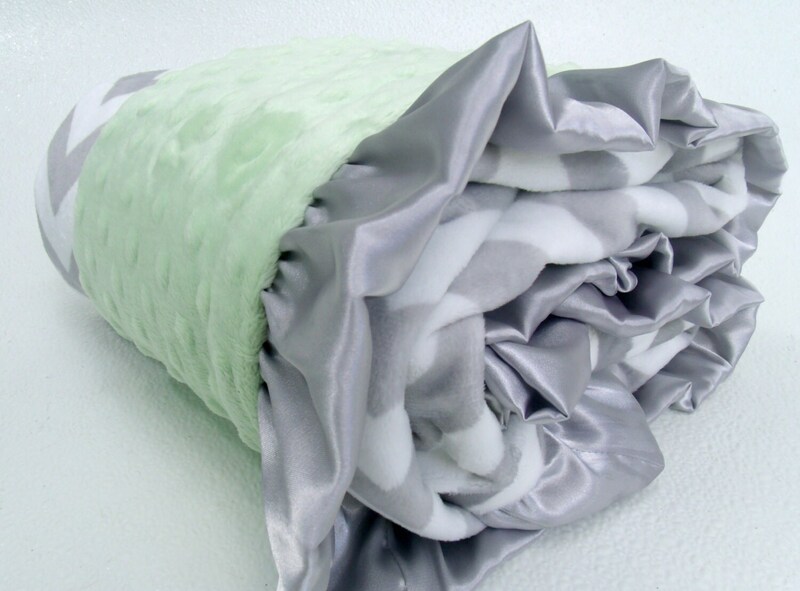 This blanket is available with either sage green minky dot or rosebud swirl. 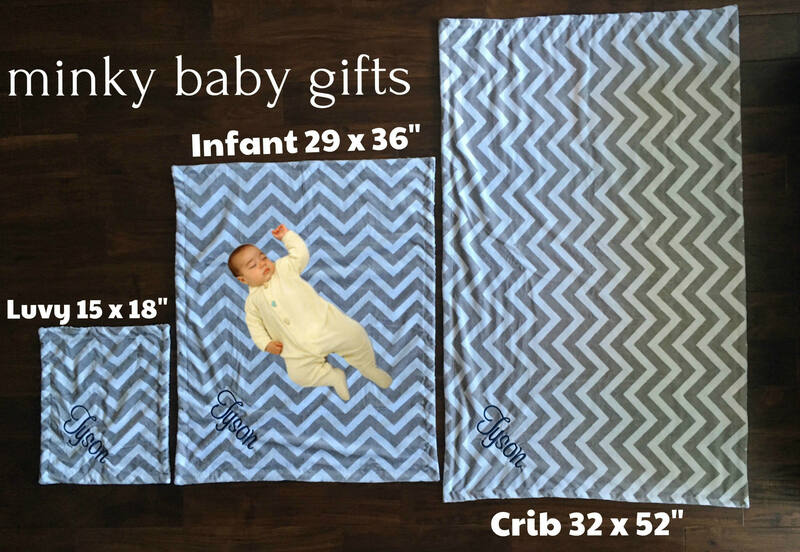 Choose your size from the drop down menu.